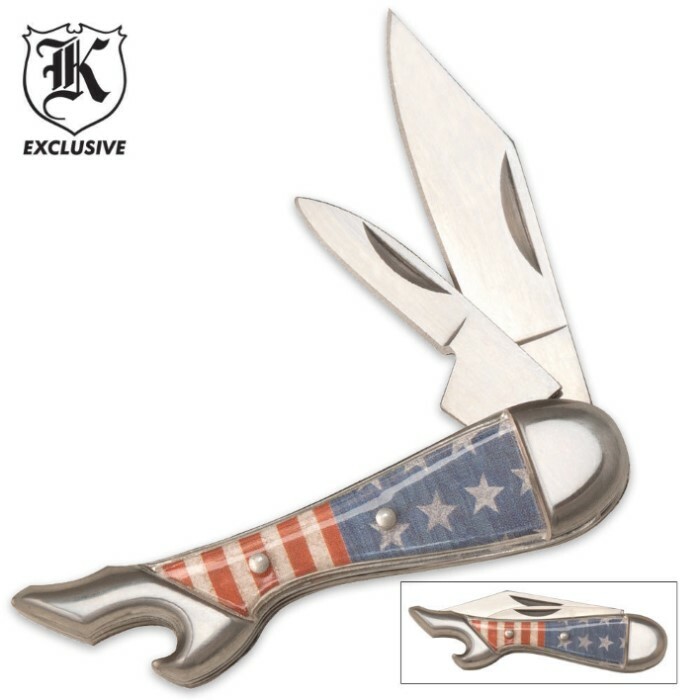 Two Blade Mini Leg Knife American Flag | BUDK.com - Knives & Swords At The Lowest Prices! This collectible Mini Leg Knife is perfect for any American! This knife features two stainless steel blades with stainless bolsters and pins. The handle is accented with an acrylic American flag. 3 1/8" closed. Sweet knife. Don't expenct alot from it. Its still a great knife but its more of a backup knife. The only problem is the size, its kinda small.